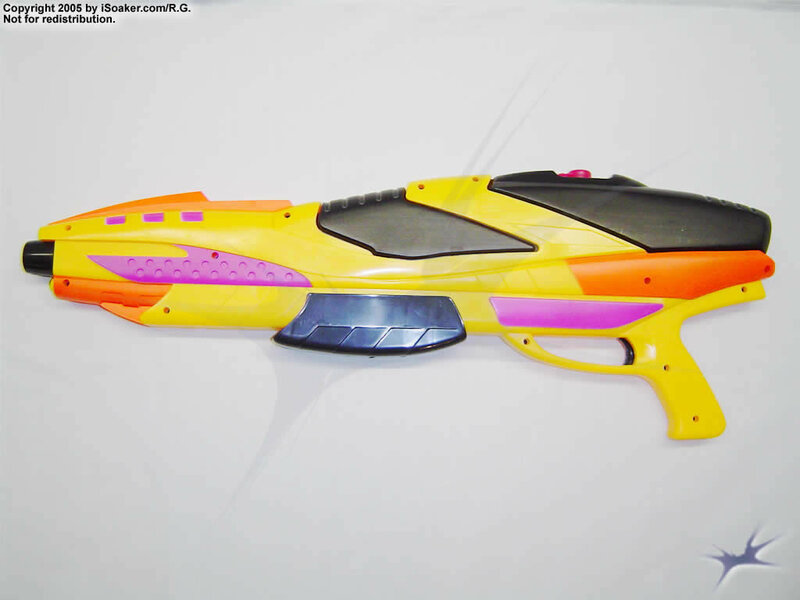 The Total X-Stream Blast Master 660 is Lanard large piston-based soaker. Having both a thin and long design coupled with a decent capacity reservoir, the X-Stream Blast Master 660 has a good feel when in one's hands. Being piston-based, each pump of the soaker unleashes its stream. As a result of this, the X-Stream Blast Master 660's performance ends up relying more on the strength of the user as the force and range of the stream depend on how forcefully the user can pull the pump back. The pump, itself, has a good feel and glide to it and the stream it can produce has a decent thickness and consistency. The reservoir holds a good amount of water and has a small tethered cap covering its opening. One minor complaint is that the opening to fill the reservoir is rather small, making it more difficult to fill. The reservoir is also opaque meaning that one cannot easily determine how much water one has left. Overall, the X-Stream Blast Master 660 is a decent piston-based soaker. A capable user could easily fend off average opponents, but its piston-based nature would put the user at a disadvantage due to the discontinuous nature of the stream. Good feel, easy to pump, potentially good range, and has a decently sized reservoir. Pump-to-shoot means no waiting for enough pressure to fire. Piston-based shooting means continuous streams of water are no possible. Small opening to the reservoir makes filling more difficult. Longer nature of the soaker could have been better complimented if a strap were included. This blaster is not made by Larami, but Lanard. The blaster is a piston series. It is rather big, at 28". It has bold colors, so it isn't good for secrete missions. It has a nice, big reservoir, but it runs out quickly. 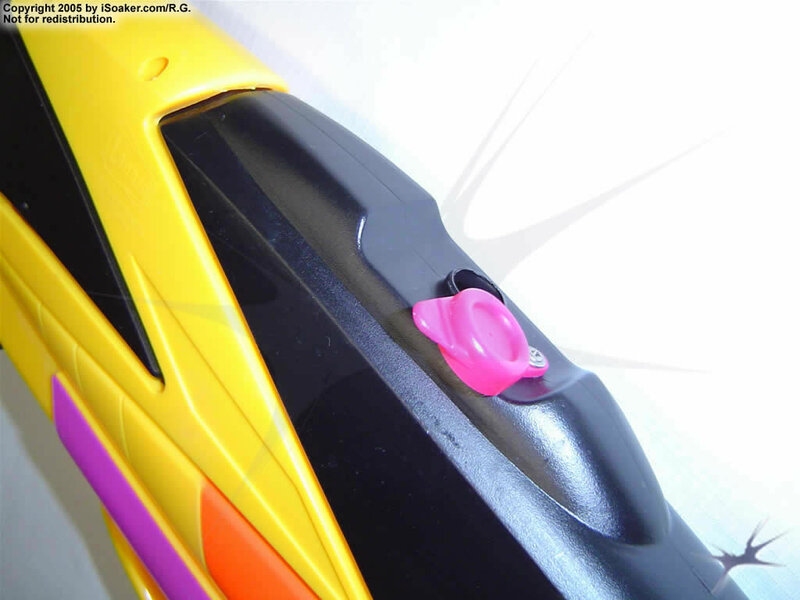 The filling hole is about the size of the one on the Splashfire, so filling is tricky. The reservoir is opaque, so it's hard to know when to stop filling. 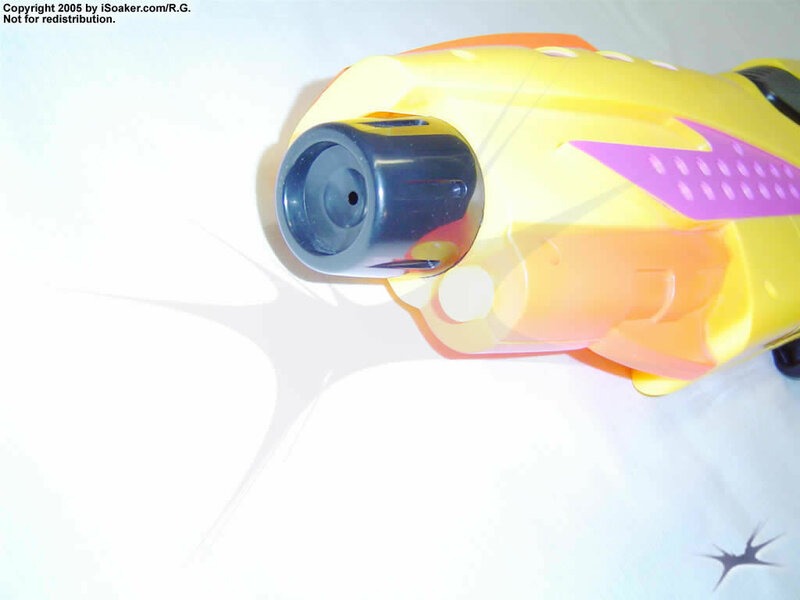 The pump is nice and easy to pull, and it shoots with every pump. There is only one nozzle. It isn't as powerful as a Super Soaker, but it gets the job done. The range is very good for a Piston blaster. (25'+) If the gun is tilted too far up or down, it mist-shoots. The gun is not powerful enough to be a cannon, but it makes a very good primary weapon because of its large reservoir and intimidation factor. It also has the advantage of firing every time it's pumped. I would give it a four out of five.